A Second Annual Christmas Classic! 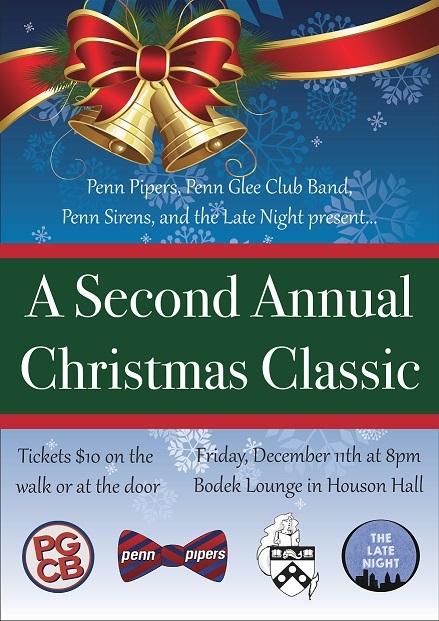 The Penn Pipers are really excited to present to you “A Second Annual Christmas Classic”! We’ve teamed up this year with the Penn Glee Club Band, The Penn Sirens, and the Late Night. If you’re stressed about finals or just want to spread some Holiday Cheer, come check us out on December 11th at 8pm, in Bodek Lounge. Hope to see you there! Welcoming the New Pipers of 2015! We’re looking forward to another great year! Keep your eyes on the lookout for some exciting new news, including our winter concert, upcoming performances, and more! We’ve got some exciting stuff planned,so be sure to stay tuned! Congratulations to new Pipers Shaanan Cohney, Bhavish Malkani, Danny Park, and Isaac Shapiro! We’re excited to have a great group of Pipers for the 2014-2015 year. It’s already shaping up to be a fantastic year — we’re excited to celebrate our 65th(!!) this upcoming spring! We have a lot of performances lined up until then, so here’s to a pipin’ hot year! Congratulations to Malcolm, Kirk, and Sam, the three newest Pipers! 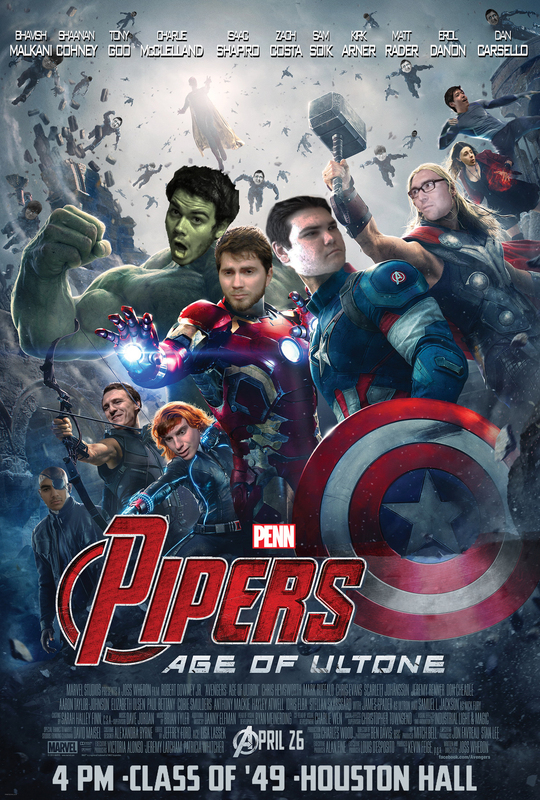 We’re looking forward to another exciting year, so keep an eye out for upcoming Pipers performances and shows!